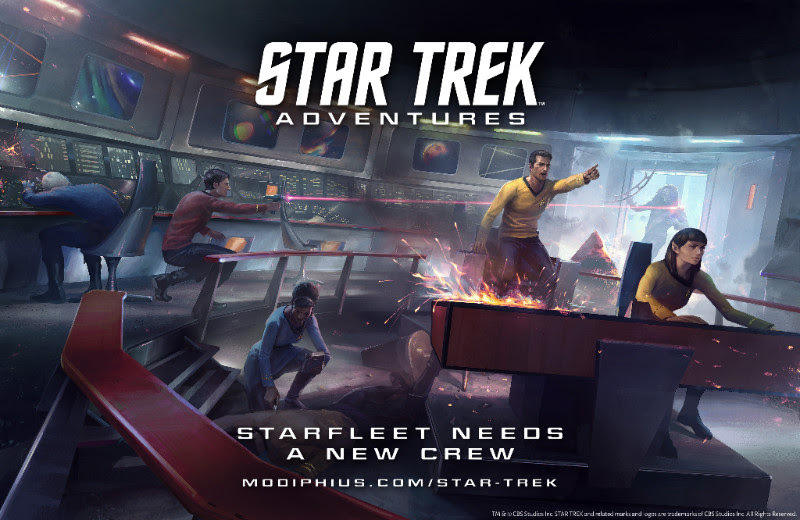 Fans of the legendary Star Trek television series’ and films will not only boldly go to the final frontier, but they will shape the voyages and missions through theStar Trek Adventures living campaign playtest. Each player will experience the game differently based on the ship they are assigned to and attendees of Gen Con will have the exclusive North American opportunity to choose their ship, as well as claim a free Captain Kirk or Captain Picard miniature, while supplies last, when they register for the playtest. Registration will take place daily at the Modiphius booth #2737 in the Gen Con exhibit hall August 4 – 7, 2016. Additional sign-ups will launch online from late August atwww.modiphius.com/star-trek and fans in Europe will have their chance to claim Kirk or Picard at the Modiphius booth at Essen-Spiel in Germany in October and at Dragonmeet in the UK in December. The living campaign playtest will launch in the fall. Modiphius Entertainment is a London, England-based entertainment publisher of tabletop games and related hobby merchandise. The company launched its first game, the Achtung! Cthulhu Roleplaying Game, in 2013 via a highly successful Kickstarter, followed by 5 additional projects that were among the biggest in the Kickstarter tabletop games category. 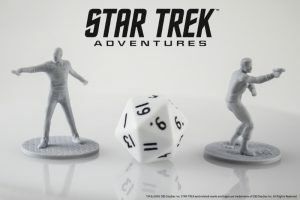 A slew of games are in development with licensed properties including the forthcoming Star Trek Adventures RPG & Miniatures, Mutant Chronicles RPG, DUST Adventures RPG based on Paolo Parente’s DUST universe, Infinity Roleplaying Game,Matt Leacock’s Thunderbirds, a cooperative board game based on the classic 60’s show and the official Kung Fu Panda Boardgame. Note: I received this press release last night, due to being on the Gen Con press list. While I’m trying to steer the blog’s content back to being more Hoosier-centric, this piqued my interest because it’s been a bit since I’ve seen a Star Trek RPG, there are minis, and the design work is from someone behind X-Wing Miniatures. I’m definitely going to check their booth out at Gen Con, and I’ll let you know what I found out!